You crack me up so hard!!!! Careful! You might hurt yourself and become…DISABLED! The One Where Lulabelle Shares an Unpopular Opinion: Honestly in this specific instance, casting a disabled actor would have made zero sense as Cranston’s character was injured in an accident and that is how he winds up in a chair. I’ve also heard that the movie, as I suspected, made use of flashbacks pre accident, so it shows him out of the chair. I am all for more representation by the disabled community on the big and small screen. I hope there is more in the not too distant future, but being critical of every movie that makes this choice without researching the why of the decision, in my opinion, seems shortsighted. 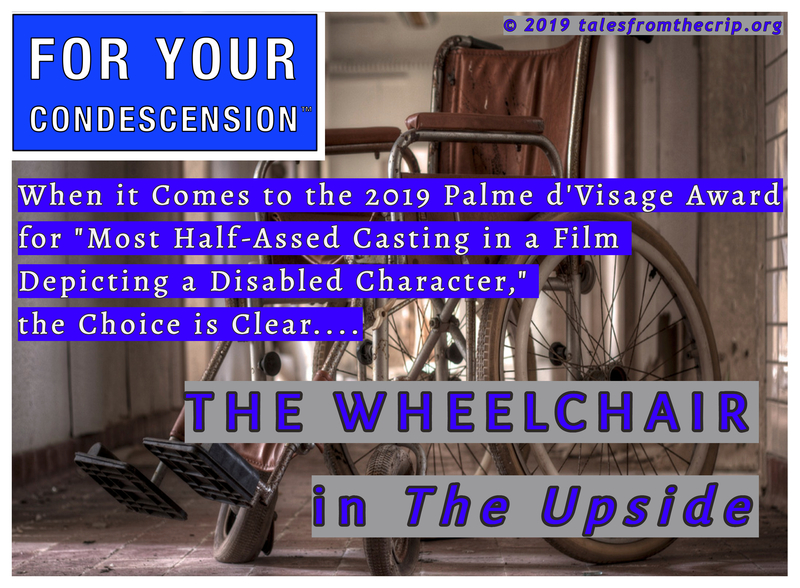 At some point, change has to actually occur and I’d say that when only 2% of roles are disabled characters and 95% of those roles go to non disabled actors – now including Bryan Cranston — we’re well past that point. I do ask, though: Why, if actors act, is it a given a talented non disabled actor can play a disabled character but a talented disabled actor can’t play a non disabled role, or one where the character can be either?